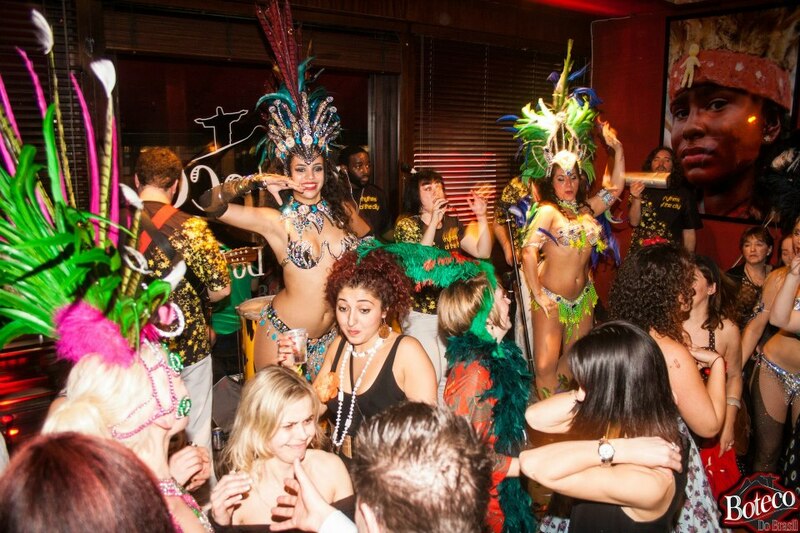 saturday night of rio carnival is a special time for our favourite employers guanabara (london) and boteco do brasil (glasgow), and once again we have the honour of rocking their parties. it could be our last time of monopolising UK brazilian venues’ carnivals (if scotland leaves the union) so we made the most of the blue-moon event. our minibloco + dancers yazzmin, joana, veronica & aneta travelled north (see picture, aneta is sadly out of picture) with local guests roddy and doug joining the band from samba ya bamba. further south, the remainder of the band (samara and eddy dancing) took it up to 11. more photos?